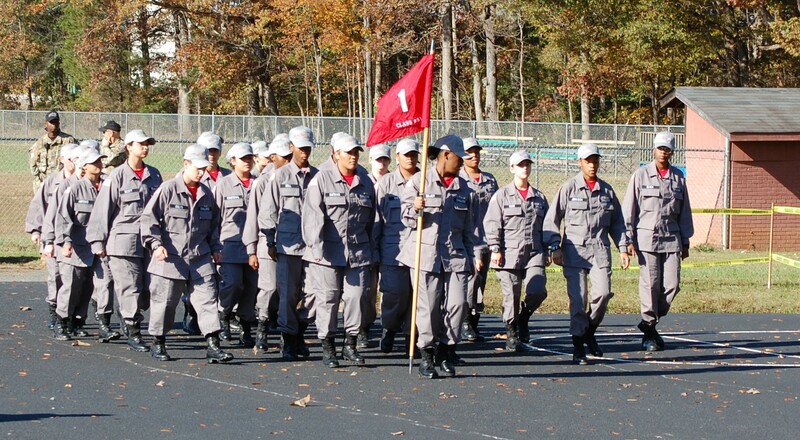 TCA New London conducted the Drill & Ceremony competition for Class 51 on Saturday, November 10. Teams showed off their new marching skills by performing regulation moves during an 8-10 minute drill led by cadets calling the marching commands. All three teams were proud to show their families what they have learned and accomplished during their first four weeks at the academy. Coming together and learning to work as a team is part of the ChalleNGe program. For most cadets, marching and following commands is something totally new to them and they started preparing for Drill & Ceremony the day they walked onto campus. All teams competed at a high level and we would like to congratulate Team 1 for being declared the winner of the Class 51 competition. For more images, please be sure to visit the Drill & Ceremony album on the TCA New London Flickr page. Next: Next post: TCA-Salemburg Class 51 Color Guard Team.